Giant Elkhorn corals (Acropora palmata), such as this colony from about three meters depth in St. John, are some of the most beautiful and important corals that have become lost as many reefs reefs in the Caribbean have degraded. This colony was photographed in 2015 and it was killed by Hurricanes Irma and Maria in September 2017. However, CSUN marine biologist’s latest study finds some resilience among the coral reefs of St. John. Photo by Peter Edmunds. Peter Edmunds was prepared for the worst. 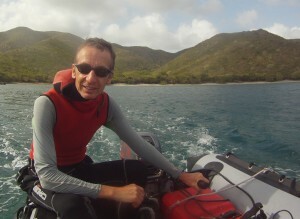 Back-to-back Category 5 hurricanes had torn through the Caribbean in September 2017, and the California State University, Northridge marine biologist was not sure what he would find when he visited the fragile coral reefs near the island of St. John after the storms. 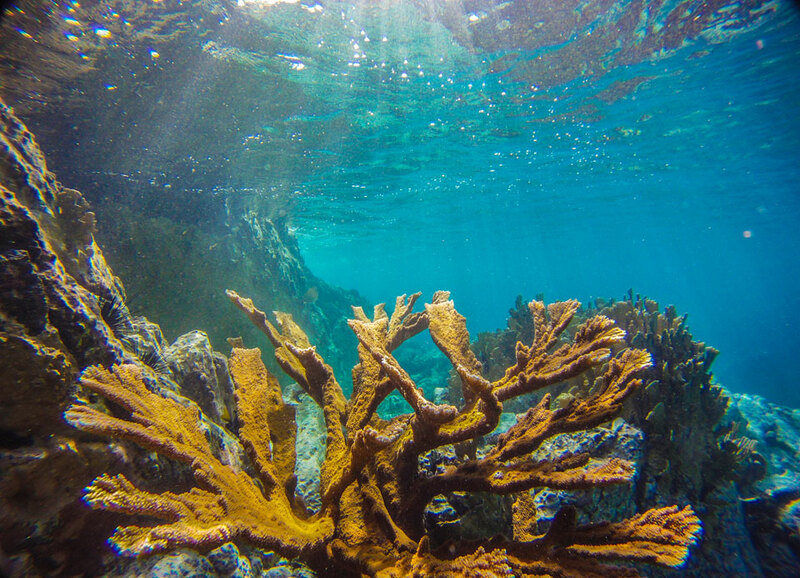 What he found is that decades of degradation of the reefs by the increasingly harmful effects of climate change had created a coral community that was resistant to the devastation usually associated with severe storms like Hurricanes Irma and Maria that hit the Caribbean and eastern United States in fall 2017. CSUN marine biologist Peter Edmunds heading out to his field site in St. John, U.S. Virgin Islands, to begin the field sampling that provided the kind of data at the core of the paper. Photo by Chelsey Wegener. “The coral communities have become resistant to adversity,” Edmunds said. “Basically, once you have lost everything, you’ve got nothing left to lose. Edmunds findings, “Three decades of degradation lead to diminished impacts of severe hurricanes on Caribbean reefs,” were published this weekend in Ecology. Edmunds has spent 31 years mapping and documenting the state of the coral community off the island of St. John in the waters of the Virgin Islands National Park, part of the U.S. National Park Service. Decades-worth of research in the area gave Edmunds the knowledge to effectively assess just how badly the 2017 hurricanes impacted the coral community. Edmunds is quick to point out the reef of the 1980s or 1990s “probably is never coming back.” But, he said, information he has gathered can contribute to the management of the resiliency of the marine ecosystem. “The important message is that these record-breaking hurricanes have not caused catastrophic damage to the degraded reefs of 2017, and therefore it is all the more urgent and important to protect what is left,” he said. “There should be absolutely no sentiment whatsoever that after these hurricanes, there is nothing left to protect in a park. That is massively incorrect.